Nationally renowned firm will lead development of proposed downtown stadium for Sacramento Republic FC. SACRAMENTO, Calif.– Sac Soccer and Entertainment Holdings (SSEH) announced today, the hiring of Legends as project manager for the development of a new soccer-specific stadium in downtown Sacramento. 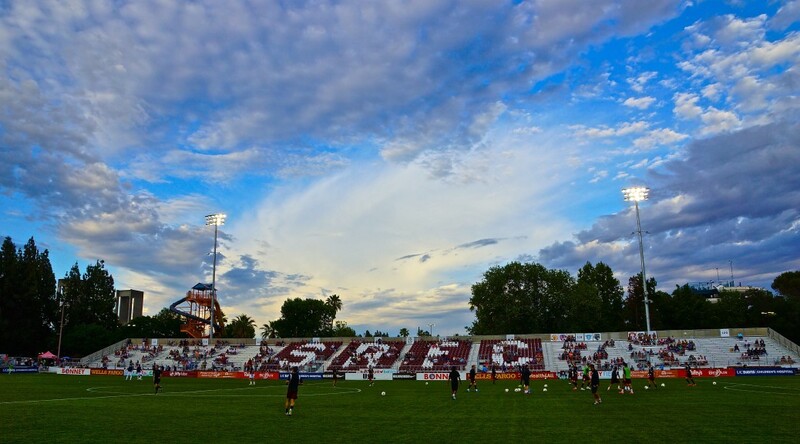 SSEH is the parent company of USL franchise Sacramento Republic FC. The announcement represents a significant step forward in ‘Operation Turnkey,’ an initiative launched by Sacramento Mayor Kevin Johnson and Republic FC Lead Investor Kevin Nagle to strengthen Sacramento’s bid for a Major League Soccer (MLS) expansion franchise. Plans for a new, privately-financed stadium are 100 percent on track, pending the award of MLS expansion rights to Sacramento, and can be ready to open as soon as the 2018 MLS season. The Legends team will bring both global reach and local expertise to the stadium effort. Current partners include the New York Yankees, Dallas Cowboys and Manchester City FC. Locally, Legends partnered in 2010 with the San Francisco 49ers to launch Levi’s Stadium and in 2014 with the Sacramento Kings on a groundbreaking food and beverage program for the upcoming Golden 1 Center. Both the York Family of the 49ers and Kings are key investors in Republic FC on the MLS-level..
Industry veteran Dale Koger, Legends Senior Vice President of Project Development, will lead Legends’ work on the stadium. Koger and his team will provide extensive experience in key areas of design, planning, engineering, and related activities in stadium predevelopment. For more information, please visit SacRepublicFC.com.